If you're reading this, chances are you've yet to make a dent in your holiday shopping list and are frantically searching for last-minute gifting inspiration via the internet. 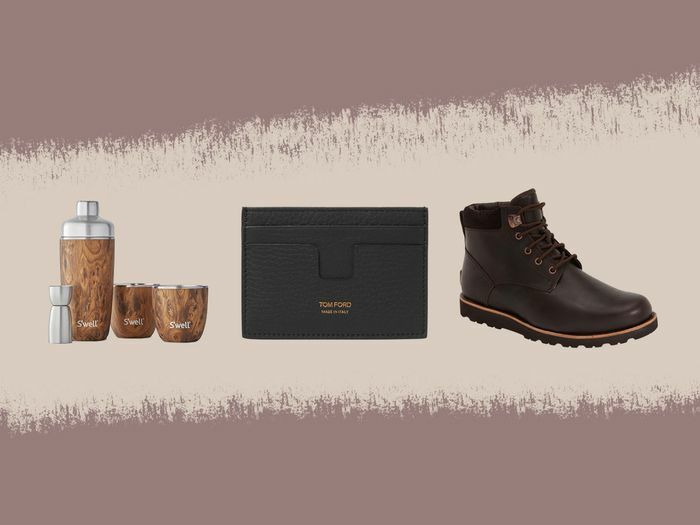 And chances are you've also probably saved the most difficult gifting conundrum for last… what to gift the important men in your life. With the holiday season in full swing and Christmas less than two weeks away (13 days to be exact, not that we're counting), it's time to buckle down and get serious. Before you panic, take a deep breath. Whether you're hunting for something for your dad, your brother, or your significant other, we're here to make the task less painful. Scroll to shop the best last-minute options. Does he constantly have his next vacation lined up? Does he never leave home without his passport? Does he have more frequent flyer miles than he knows what to do with? If so, scroll to shop the below options. 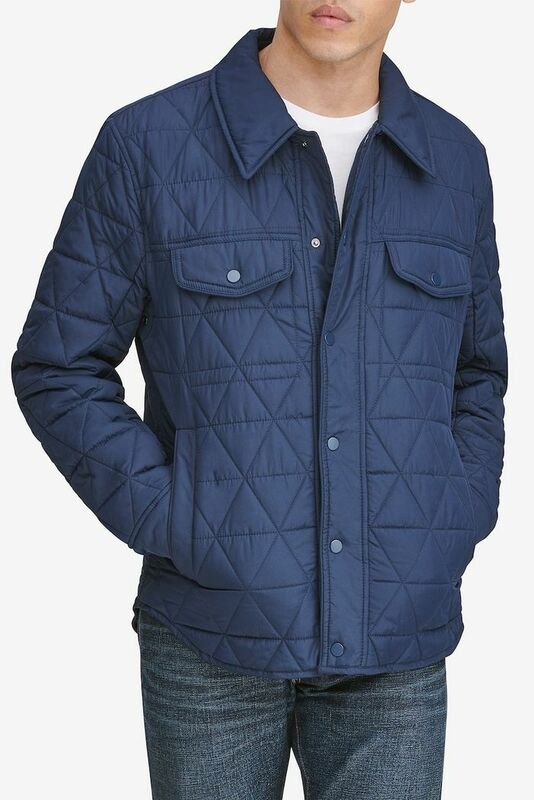 This shirt-style jacket is water-resistant and lined with fleece for optimal layering. Plus, the lightweight design makes it easy to pack without adding bulk to your bag. These 100% cotton joggers are perfect for all-day travel. Whether your choice of beverage is hot coffee or ice water, this portable on-the-go bottles keeps your drink at its desired temperature. Choose from one of 18 designs. These boots have a cool vintage feel that makes them great for everyday wear, and the waterproof leather-and-wool lining make them perfect for winter adventures. This bag is just big enough for your laptop, wallet, and flight snacks, but it's not too big it needs to get checked at the gate. From cashmere sweaters to edgy accessories, there's no shame in appreciating the nicer things in life. Gift your trend-focused friend with some of these of-the-moment pieces to add to their already stylish ensemble. This sleek black stainless-steel watch is Swiss-made with a genuine leather strap. Opt for monogramming to add a personalized touch. This 100% cashmere sweater is comfortable, versatile, and under $100. The recipient (and your wallet) will thank you. Opt for a classic black leather cardholder. Chances are he's heard of this brand too. This sterling-silver necklace feels luxe, but the price point doesn't. If your giftee appreciates the finer things, he probably appreciates quality craftsmanship. These leather sneakers are perfect for formal occasions or casual functions. If the guy in your life prefers cooking shows to nearly anything else on TV and is always trying to re-create your most recent restaurant meal at home, he'll be excited to receive one of the below gifts. Perfect for dicing fruit or cutting meat and poultry, this exclusive chef's knife has 49 layers of stainless steel for optimal strength and protection. This cocktail kit is the perfect at-home bar accessory. Plus, unlike typical shakers, your drink stays colder longer. This is the handbook for all things culinary. It breaks down different food groups, the best flavor pairings, and clever cooking techniques. Perfect for slow-cooking, braising, or baking, this Dutch oven was made in Holland from enameled cast iron. The built-in thermometer makes it easy to know your dish is cooked to perfection. The unique Smoking Gun lets you infuse food or drink with a natural smoky flavor (think apple wood or hickory) sans heat. Plus it's easy to use.